Above and Beyond Fitness Repair we provides a complete range of fitness equipment repair services. Save money by avoiding costly repairs with Above and Beyond Fitness Repair Preventative Maintenance Program. Above and Beyond Fitness Repair Services supplies replacement parts for all major fitness equipment manufacturers. Above and Beyond Fitness Repair specializes in the repair and preventative maintenance of all fitness equipment brands. 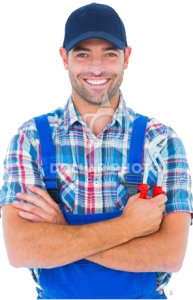 We offer on time repairs to monthly, quarterly and yearly maintenance agreements. We offer a 48-72 hour response time for repairs. Our goal is to eliminate down time at your facility. Our preventative maintenance program will lower your repair costs and increase the life span of each piece of equipment we maintain. Our service and support goes above and beyond manufacturer recommendations, giving you a far greater return on your investment. Our dependability, reasonable rates and knowledgeable staff will prove to you that Above and Beyond Fitness Repair is the right choice when picking your service provider. Take the headache out of maintaining your corporate gym. Above and Beyond Fitness Repair offers fast and hassle free service by factory trained service technicians. Above and Beyond Fitness Repair offers maintenance and repair services for all major fitness equipment manufacturers, providing quality service and affordable rates. Providing a quality service and affordable rates. Above and Beyond Fitness Repair can have your exercise equipment running like new today. Whether you need repair services or routine maintenance, our factory trained technicians will do their best to meet or beat your needs. We service all major brands of fitness equipment. Treadmill repair is just one of the many services we offer. Above and Beyond Fitness Repair specializes in the repair and preventative maintenance of all types of electronic fitness equipment; including ellipticals and exercise bikes.